how big is a second in the whole volume of the time of my life? the next step is multiplying the "day cube" 30 times to have the average month. of course 12 times that cube it's a year. 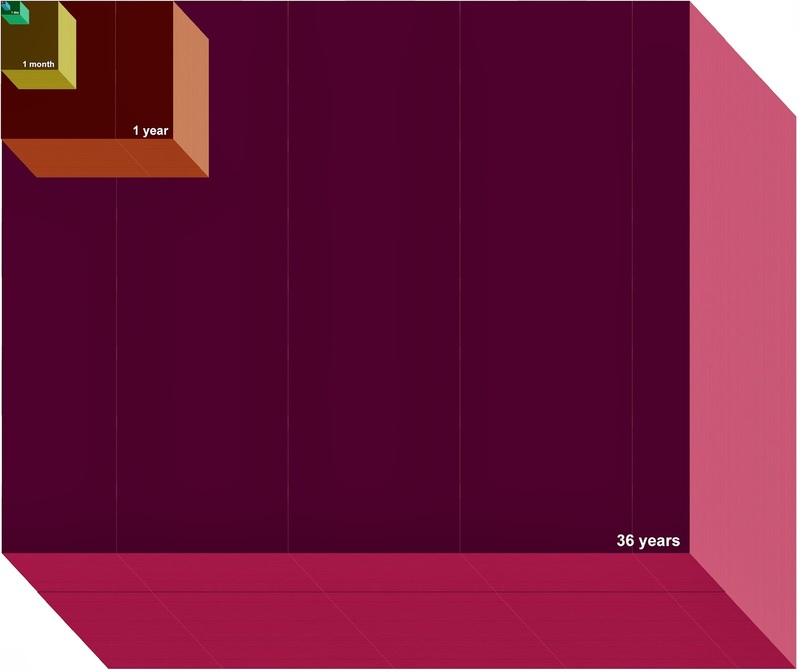 and now to visualize all the issue, you can see the complete image: all the time-cube-volume of my life with the different solid spaces representing the common time unites. the seconds are so small that are almost lost in the picture, but days and hours are not so invisible eventually. it's always surprising how every hour can be so visible even in a 36-years-old man's life!